Ok, so the other day I was walking up Carrer d’Enric Granados on my way to Non Solo Pizza and I got to wondering who is this Granados dude. 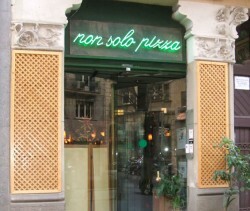 Non Solo Pizza – not even pizza! I was taken to Non Solo Pizza not long ago. Now as far as I’m aware this means ‘Not Only Pizza’ which would be fine if they did pizza and other stuff. But they don’t. They just do the other stuff. For pizza you need to go next door to Solo Pizza which does make sense. But that’s ok, because the other stuff is worthy enough not to be put on the same menu as pizza. Although I am told the pizzas at Solo Pizza are some of the best in Barcelona. A claim I’m yet to validate. It feels great to finally get this site up and running. This project has been in the back of my mind ever since I decided to move to Barcelona. And having been here for 5 months now I have finally ‘cut the ribbon’, so to speak. I have no idea how this site is going to develop. That’s the interesting part. But I’ll write about what I experience and what the city has to offer and see where it takes us. It’s about discovering Barcelona. And hopefully meeting some of the people that live here. And the title? 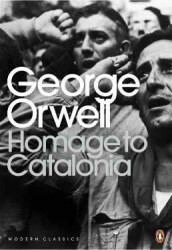 Well that’s my nod to George Orwell and his book, Homage to Catalonia, which I’ve just finished reading. Check it out! It’s a fascinating account that’s even more poignant when you live here. And no, before you ask, I haven’t started Spanish lessons yet. But rest assured when I do I shall let you know how spectacularly I fail.